Lynn Thorndike (1882-1965) is a noted medieval historian. He received his BA from Wesleyan University (1902), and his MA and PhD from Columbia University (1903, 1905). He taught medieval history at Northwestern University, Western Reserve, and at Columbia University from 1924 until his retirement in 1950. Thorndike’s eight-volume magnum opus, “A History of Magic and Experimental Science” (1923-1958) continues to be cited as a literary source in contemporary books. This book is his doctoral dissertation. 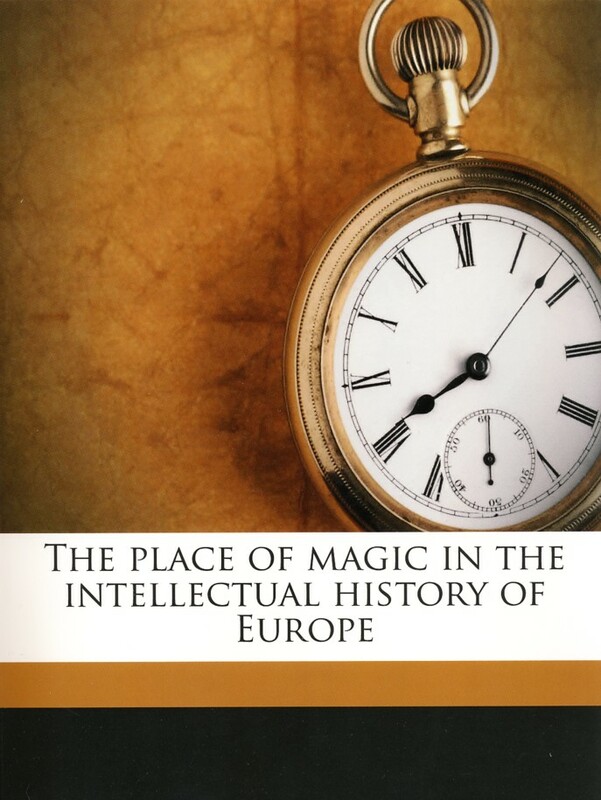 Thorndike explores the strands of magical beliefs and mysticism that pervaded European thought. Science, medicine and astronomy were entwined with ancient ideas until religious persecution ended and scientific method and empirical thought took hold in the 17th and 18th centuries. The first two chapters present Thorndike’s thesis and an overview of the later writers whose works reveal ancient magical ideas (Roger Bacon, Jean Cardin, Tycho Brahe, Paracelsus, and Francis Bacon). Because these ideas were so persistent, the author calls them “a formidable class of convictions.” He also shoves the entire kitchen sink under the heading of magic: the doctrine of signatures (i.e. the law of correspondences), augury and divination, astrology, alchemy, cabbala and Gematria (numerology), sorcery, and necromancy. In further explanation, the author states that magic is “any change with unexpected results,” to be considered praeternatural (sic) rather than supernatural. From Chapter III through the end of the book, Thorndike offers evidence from ancient writings (circa 100 BCE to circa 400 CE) to examine the beliefs of the most educated crust of that society. There’s no speculation about the prehistoric origins of magic; the author simply assumes that the belief in supernatural beings and nature spirits (the chicken) came before magical techniques and beliefs (the egg). What is most interesting about this book is the exploration of the philosophical ideas that support magic as valid. In early thought, Nature was changeable and fickle. The component parts of the World Soul (Anima Mundi), like plants, minerals and animals, were linked through magical sympathies or correspondences. Magic could be used to influence outcomes or fulfill wishes by performing incantations (sympathetic vibrations) or spells with the proper sympathetic ingredients. And since the future was imminent in the present, making predictions by the stars, the flight of birds, or bull’s livers was possible. Anything unusual, like a comet, was significant and had hidden mystical meanings. Consequently, ancient science wasn’t an exploration of laws and facts, but a search for hidden ties that served as explanations. Authors like Pliny, Claudius Ptolemy, Marcus Tullius Cicero, Favorinus, Sextus Empiricus, Seneca, Synesius, and others are examined for relevant content about beliefs and practices. Some of these writers expressed skepticism about the practitioners of magic, but the ancient literary corps never conducted a systematic, logical assault on the beachhead of mystical philosophy. That was left for the rationalists of the 17th-18th centuries who imposed a mechanistic view of Nature that quickly led to scientific discoveries. Like many of his early 20th century contemporaries, Thorndike is between a rock and a hard place. He mimics the “this is all patent nonsense” attitude of the scholarly elite, and he adds in a requisite sprinkling of remarks about modern superiority typical of writings from this period. He sort of redeems himself on the last few pages when he questions whether it’s appropriate or fair to project modern standards onto ancient writings and beliefs. Thorndike proclaims the superiority of scientific rationalism and the assertion that magical beliefs and mysticism are decaying as science can answer all questions. What’s fascinating is that the book was written during a major resurgence of magic and mysticism that has gained enormous momentum in the subsequent 100 years. From a neo-pagan standpoint, science has its place in the world, but it doesn’t have all the answers and lacks charm. A mechanistic attitude toward Nature offers an unsatisfactory basis for relating to the cosmos and life’s mysteries. The book is centered on examining the views of the literate elite, so it won’t assist those who are researching folk traditions. It is a useful survey of ancient thoughts on magic, mysticism, and astrology, and gives quotes from relevant texts. It also provides examples from the cross-over period when Aristotelian scientific methods were giving way to empiricism. The book is recommended for people interested in researching these areas.